Each year, Apple launches a new iPhone and gadget enthusiasts around the world tend to compare this product with the rest of the market – specifically what the Android niche has to offer. In general, the biggest battle takes place between Apple’s finest and Samsung’s flagship smartphone – but this year we’ve been lucky enough to see a handful of other iconic Android-powered smartphones hitting the shelves. The HTC One is definitely one of them – an ambitious product which had a real shot to save the company from financial disaster. That being said, it’s only natural for the new iPhone 5s to be compared to this iconic Android-powered device, and today we’ll do just that. You may have heard the term “premium design / build quality” being used when describing an iPhone before. By far, design and build quality are the categories where Apple’s flagships have won the battle against the Android market, each year. This time around, the situation hasn’t been the same. HTC seemed to have borrowed a page from Apple’s book when it came to designing the One. The aforementioned device features a premium-built aluminum case, no removable battery and no expandable storage. It’s a unibody design that shines in terms of quality and attention to detail. Performance-wise, however, the iPhone 5s takes the edge, mostly because it’s a newer smartphone, but also because the new 64-bit A7 processor trashes every other competitor in synthetic benchmarks. While the HTC One delivers a larger display with a better resolution and the highest amount of pixels per inchamong all the smartphones available across every platform, the iPhone 5s manages to come out on top in terms of speed and camera quality. Mind you, the HTC One is no dud either, but it’s starting to age and the comparison feels somewhat unbalanced. Aside from sheer performance delivered by hardware, there is one aspect that we feel needs to be included in this comparison: the software. As many of you are already aware of by now, this year Apple has launched a new operating system for its mobile devices – iOS 7. The new platform has been completely redesigned in terms of looks. As a result, Apple has completely ditched the skeuomorphic UI elements, replacing them with more modern-looking alternatives. Interestingly enough, HTC has also launched its latest Sense 5 user interface, earlier this year. The new UI is –once again – completely re-imagined, and revolves around a richer and more straight-forward user experience. More importantly, certain eye-candy elements have been removed, replaced or redesigned in a more simplistic manner, resulting in higher performance and more fluid animations. Nonetheless, comparing iOS 7 with Sense 5 is quite a difficult task, more so than it is comparing iOS 7 with Samsung’s TouchWiz UI. The reason for this is simply because both UIs seem to aim at delivering a similar, “clean” end-user experience, while being completely different at the same time. Some of the key improvements in iOS 7 include the new Notification Center and the Control Center. Much like iOS 7, Sense 5 brings improvements in these areas as well. Actionable notifications are the norm in Sense 5, and all the toggle switches are separated from the notification area. The key difference however, is that iOS 7 delivers a more organized Notification Center thanks to its tab system, but does not offer actionable notifications in the same way that the Android / Sense 5 platform does. The Sense 5 UI is more social-centric as well, with BlinkFeed covering the entire home screen with actionable tiles containing updates from your Facebook account. Regular homescreens can still be used next to BlinkFeed, giving the user to ability to create shortcuts or use widgets in true Android fashion. Also, folders can now be created within the apps drawer, giving the user the ability to further organize applications. iOS 7 offers a more simplistic UI. There are no widgets, and while folders (as well as nest folders) can be created in a more advanced manner, this feature is simply a must, given the fact that there’s no app drawer to begin with. There are no elements such as BlinkFeed or Video Highlights in iOS 7 either, but Apple manages to take the cake in terms of speed. Overall, both handsets offer a clean, modern looking and intuitive UI, but each one lacks certain elements that the other has. While Sense 5 focuses more on social interaction and entertainment (Highlights in the Gallery are prime examples of that), iOS 7 is less rich in this department, but delivers a solid and fast overall experience. Evidently, that tremendous speed is also a byproduct of the 64-bit A7 processor. 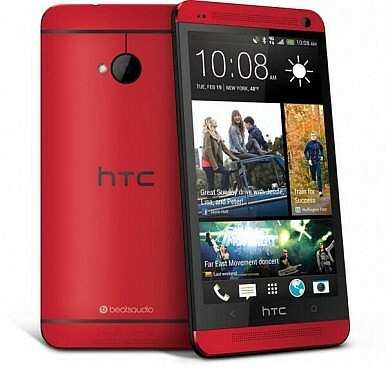 What are your thoughts concerning the iPhone 5s and the HTC One? Do you have any first-hand experience with one of these devices (or both)? Do you feel like sharing these thoughts? Join the conversation below and leave a comment.